Dean and I are fortunate to work with a lot of couples who are choosing Maine for their destination wedding. One question that comes up a handful of times a year is “HOW to get married in Maine” - and we get it! Each state is different in their requirements for formally getting married there. Thankfully Dean and I remember all to well planning our wedding shortly after moving to Maine. Along with making sure we were making everything legal we also had the logistics of getting married on one of Casco Bay’s many islands, Peaks Island. 1) The very first step to getting married in Maine is picking a date and location. Even if you’re planning on running away to elope, you need to have a general date and location in mind. Photographing Adventure Elopements are our jam! So if you’re looking for something that incorporates your personalities with a bit of adrenaline or harder to find vistas, let us know! We’ve got some amazing locations in our back pockets as well as some dream locations throughout the state! 2) Apply for your marriage license! This is a must for making it official (and legal). If you’re both Maine residents you would apply in the town where at least one of you holds residency. Same if only one of you is a resident - apply in that town. If neither of you are residents, you can technically apply in ANY town - it doesn’t have to be in the same town you are getting married in. Make sure to make note of any “bank holidays” coming up or even, if you’re getting married in the winter, storms. The town/city halls observe all of the popular holidays and smaller town halls may even close if there’s a big storm headed into town. Since there isn’t a waiting period we’ve had couples fly into town on a Friday morning, grab their marriage license at city hall and either get married that night or the next morning! But if your flight is delayed or it’s some random holiday, you might miss your window! Planning an extra day in case of delays/closures is always a good plan. 2.5) Requirements for applying for your marriage license in Maine. You’ll need a valid photo ID. If this isn’t your first marriage you will need to bring along a certified copy (raised seal) of the divorce or death certificate. Applicants must be over the age of 18. No blood test is required. Although we’ve had a few good jokes with our couples about the line about marrying your cousin. Yup! That’s on our marriage certificates! You must prove that you’ve undergone counseling if you plan on marrying your first cousin. Your marriage license is valid for 90 days after you apply. It’s only valid in Maine, but you can get married in any town you choose! 3) Find an officiant. This could probably also be moved up to between steps 1 and 2 because without someone to marry you, you can’t get married! 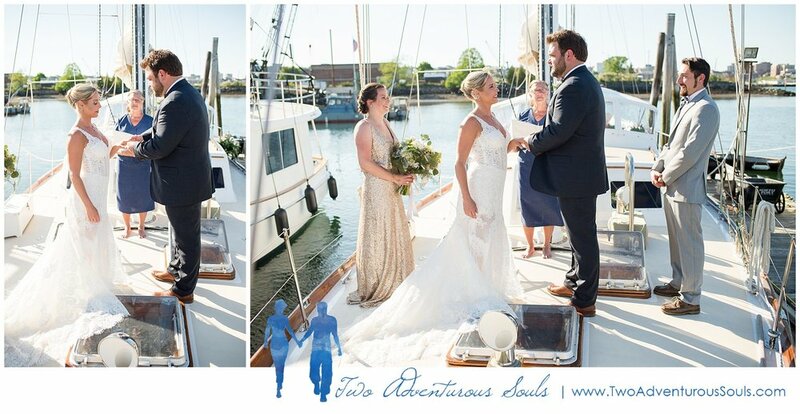 We work with an amazing group of officiants who will work with you to customize your ceremony - and they’re super adventurous too! On a cliff in Bar Harbor? check. A boat out at sea? definitely. One the beach where you got engaged? absolutely! Most every officiant we’ve worked with is game to make your marriage dreams come true! 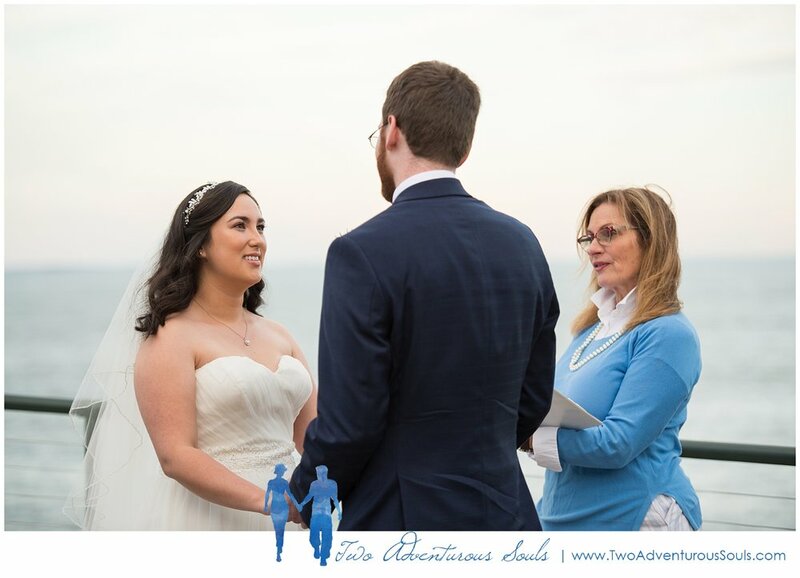 Let us know if you’re thinking of something specific and we can connect you with a few officiants that match! 3.5) Requirements for an officiant: The following people are authorized to perform a marriage ceremony in the state of Maine. That’s not to say your friend can’t officiate! We’ve had friends of couples get ordained online or another option is to have the friend officiate and then have one of the below people make it official in a little side ceremony! Ordained ministers of the gospel, A person licensed to preach by an association of ministers, religious seminary or ecclesiastical body, Judges or justices, Lawyers admitted to the Maine Bar (residents of Maine only), Maine Notaries. Since Maine doesn’t have Justices of the Peace, out of state notaries and Justices of the Peace cannot officiate weddings in Maine.